Yoo Jae Suk shared about the time he attended his son Yoo Ji Ho's school field day. During the January 4 episode of KBS2's 'Happy Together 3', Yoo Jae Suk said, "I went to my son Ji Ho's field day. My experience on variety shows was a lot of help. I shared tips on tug of war and more (to others)." 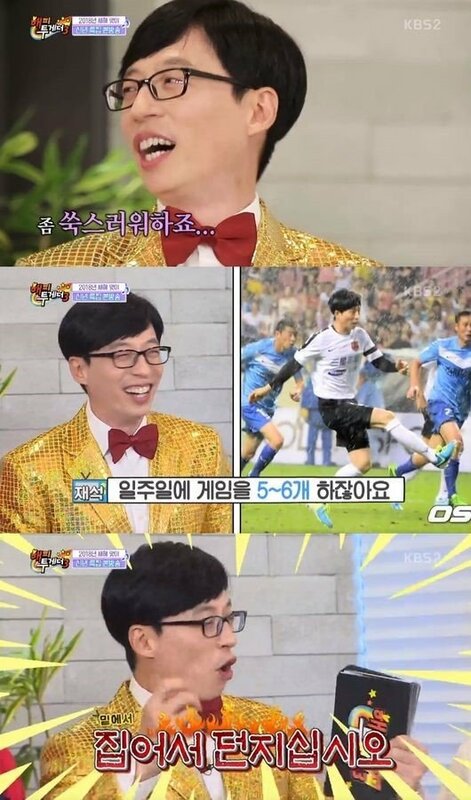 However, Yoo Jae Suk revealed his son wasn't too pleased with his active participation. The MC continued,�"My son was embarrassed by me. (Because) I overreacted."